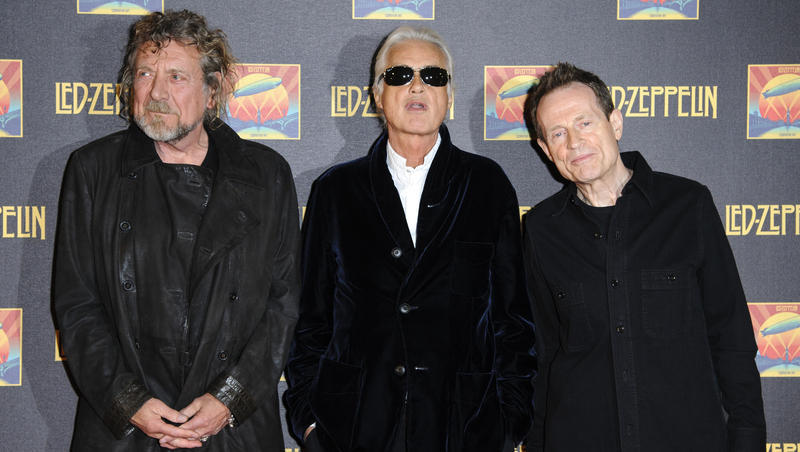 Did Led Zeppelin rip off part of "Stairway to Heaven"? It's one of the most popular classic rock songs of all time, yet was part of it ripped off? The first seconds of "Stairway to Heaven" are immediately recognizable. But Led Zeppelin, which is about to release reissues of its first three albums, could soon be on the receiving end of a copyright infringement lawsuit over the 1971 song. According to Bloomberg Businessweek, a lawyer representing the trust for Randy California, late guitarist for the band Spirit, claims Zeppelin stole the intro for "Stairway to Heaven" from Spirit's 1968 instrumental track "Taurus." California, who died in 1997, wrote the tune for the band's debut album; guitarist Jimmy Page and Zeppelin unveiled "Stairway" three years later. Thing is -- both Spirit and Zeppelin played concerts together in 1969 throughout the U.S. (with Zeppelin opening for Spirit), and Spirit bass player Mark Andes says "Taurus" was included in the set. "It was such a pretty moment," he told Businessweek. "It would typically come after a big forceful number and always got a good response." In 1997, California told Listener magazine (per Businesweek), "I'd say it was a ripoff. And the guys made millions of bucks on it and never said 'Thank you,' never said, 'Can we pay you some money for it?' It's kind of a sore point with me." So why is this all coming to light now -- a whopping 43 years after the release of "Stairway"? Mick Skidmore, who manages California's trust, said, "Nobody had any money, and they thought the statute of limitations was done." Apparently, California was so low on cash he would play sitar in an Indian restaurant in exchange for food. Now Andes and California's trust have hired Philadelphia-based attorney Francis Alexander Malofiy in hopes of getting credit. "The idea behind this is to make sure that Randy California is given a writing credit on Stairway to Heaven," said Malofiy. "It's been a long time coming." This isn't the first time Zeppelin has been targeted for alleged copyright infringement. Go here to see more instances. And click here to listen to the song "Taurus." Tell us: Do you think "Taurus" and "Stairway" sound similar?